Shopping in Bulk Has Arrived in Davao! – Beware the Comfort Zone! Shopping in Bulk Has Arrived in Davao! S & R, the newest shopping experience has arrived in Davao! Similar to Costco, S & R brings American style shopping to the Philippines. We went to check it out this afternoon along with three of our employees, and seeing American consumerism through the eyes of locals was a real eye opener, for all of us. Moving on to the cheese section (yes, SECTION! ), we checked out the huge selection. Cheddar, blue, mozzarella, Monterey jack, gouda, just to name a few. Most of it was cheaper than I remember from our prior visit in Manila, so that was exciting. There was a European guy standing next to me, taking pictures of several types, with a confused, almost lethargic expression. I so wanted to lean over and tell him, “yep, they’re real…and they’re spectacular”! Next to the cheese is also a large selection of lunch meats, with comparable pricing to Costco in the United States, or just a touch more. We made a quick wander through the bakery section, no sheet cakes (boo! ), but lots of other calorie laden goodness to compliment my future cartons of Tillamook ice cream. We checked out the huge wine and beer section, again, the usual suspects, but not being a wine or beer drinker, there may be some serious treasures there. Andrew and I found some goodies in the produce section, but they are much nicer to look at than to eat. Strawberries! $10 a pound…Artichokes! Shriveled, ugly, and $10 a piece. It made it easier to walk away though. We finished off at the health and beauty section at the front of the store, and I forgot that you can buy shampoo in a gallon jug, wow! Fun stuff! We met up with our employees, who were wandering on their own, they were looking a bit dazed and confused. Dan told them, “this is how we shop in America sometimes! What do you think? !” As they looked around, and looked at the pallets stacked on racks 50 feet in the air, one of the girls quietly said, “It’s too big!”. Having been out of the States for nearly 18 months, I had to agree with her. To finish off our trip, we bought lunch at the cafeteria. Very similar to Costco, and an almost identical menu, although here you can buy muffins individually, yay! Andrew and I went for the chicken bakes, our favorite from the States, and the girls and Dan opted for the pepperoni pizza. While we were waiting for the pizza to cook, we bought sodas, and that’s where the entertainment really started. The cups are probably 20 ounces, and they are self service. Novelties #1 and #2. The girls said the cups were “huge!”, and getting to fill them themselves was serious fun. Then, as Dan finished round one of his, he went to get a refill. Once they discovered there were free refills, it didn’t matter how “huge” the cups were, they were going to drink as much as they could! As we got ready to leave, Dan said, “make sure and get a refill for the road!” The three girls skipped off to the machine, giggling like a pack of junior high girls. It made the trip. As we were loading into the car, one of the girls asked me how much the pizza was. I felt a small pang of guilt, as I knew that the 549 pesos (about $13.50) it cost was more than most employees here make in a day. Culturally, this is where things are different. In the States, if someone spends a lot of money on something, people kind of roll their eyes at their flagrance or foolishness in spending. Here, when people ask, it is usually genuinely out of curiosity, and if you can afford to spend money on something, even if other’s can’t, there is no judgement there. They are usually happy for the person that can afford it. They’re even happier when the wealth is shared in the form of pizza! Still, it’s a cultural difference I have had a hard time adjusting to. I feel bad buying Starbucks, knowing my cup of coffee costs half a days wages of the person making it. Anyways…back to the pizza! That’s another post! I told her it was 549 pesos, and quickly added, “but it’s so big!” and she smiled, and said, “and soooo worth it!”. Absolutely! As we were unloading out of the car back at the shop, the girls were scheming how to sneak their cups back in next time for more refills, I think they were joking…but just in case not, I know nothing. One of the girls quickly disappeared, and when we asked the others if she was going to eat pizza too, we were told, “She really had to use the CR (bathroom)!” Soda gluttony comes with a price, besides making us Americans “tambok” (fat). I don’t see myself going in and loading a cart any time soon, and I find myself amazed that I used to walk into Costco and drop $250 in a single trip. Now if I spend $50 in a trip I feel guilty. But, it’s so nice to have a bit more variety here in town, especially when it comes to ice cream and Dr. Pepper. In Nicaragua, I live in Jinotega, which is about 2 and a half hours north of the capitol city. 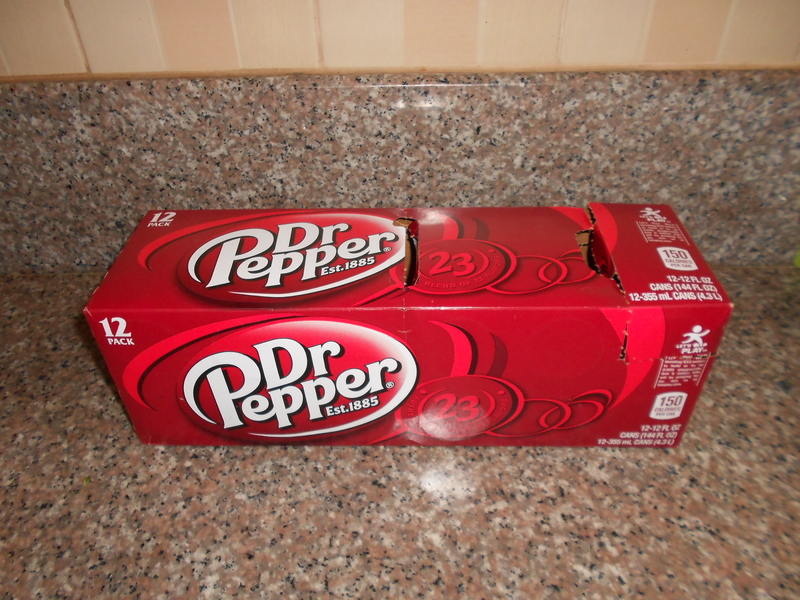 Every time I’m in the capitol though, I go to the grocery store to buy Dr. Pepper. It’s the small things that bring a smile.